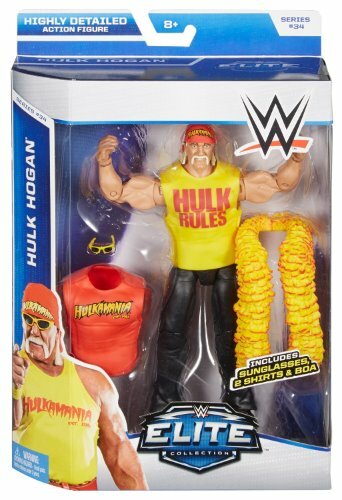 Your favorite stars of WWE are ready to rumble with our WWE Action Figure - HULK HOGAN. Our WWE Elite action figures offer extreme articulation, amazing accuracy and authentic details. Collect them all to host your own Monday Night Raw or Friday Night SmackDown Tournaments! Includes 2 removable shirts, boa, and glasses.